Reviews Demon Energy Drinks including Original, Envy, and Killa Troppo. How is this drink different from others in the Australia and New Zealand market? 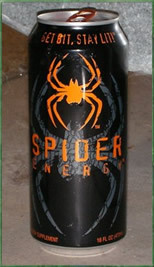 A review of Spider Energy Drink, which took two years to develop. Was it worth it? A sinful review of Sin Energy Drink's Greed. How does it compare to the real thing? A review of Guayaki Organic Energy Drinks, Which are a line of Yerba Mate and Green Tea infused products. Does Guayaki deliver? 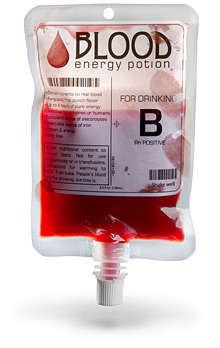 A review of Blood Energy Potion just in time for Twilight New Moon's release. Vampires and Vampire wanna-bes are sure to love this bloody energy drink. A review of Monster Punch (formerly DUB Edition) energy drink. How this drink is different from other Monsters and how it functions. 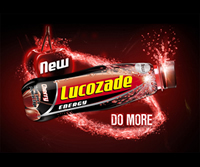 A review of Lucozade Energy Cherry Flavour. Lucozade has been a staple in the UK for decades, how does this one measure up? A review of Pure Coffain 699 the highest caffeinated drink in Europe. 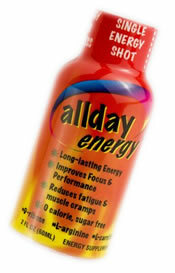 A review of All Day Energy shot made by SKY Nutrition. Includes taste, ingredients, and how the shot functions. Non-disclosed caffeine amount. A review of Heat ESP energy drink, a new Herbal Energy Drink that promises to give you energy, stimulation, and performance. Does it measure up? 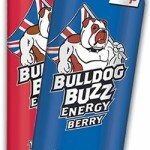 A review of the UK based energy drink Bull Dog Buzz. We look at the ingredients and how well they work as intended. 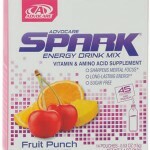 A review of Advocare Spark energy drink. 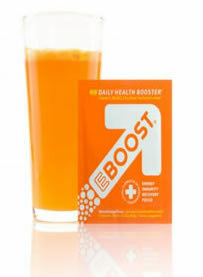 How does it taste, how much caffeine, and does it deliver the promised boost of energy? Rockstar Juiced Energy Drink Review but Australia and New Zealand Version. How is it different from the USA version? Slow Cow is a beverage that's supposed to relax you instead of give you energy. What's in it and will it neutralize caffeine?